I know as it gets into the later months of the year, you’re more likely to shy away from pastels & light colors when it comes to your wardrobe – BUT I don’t necessarily think you have to. 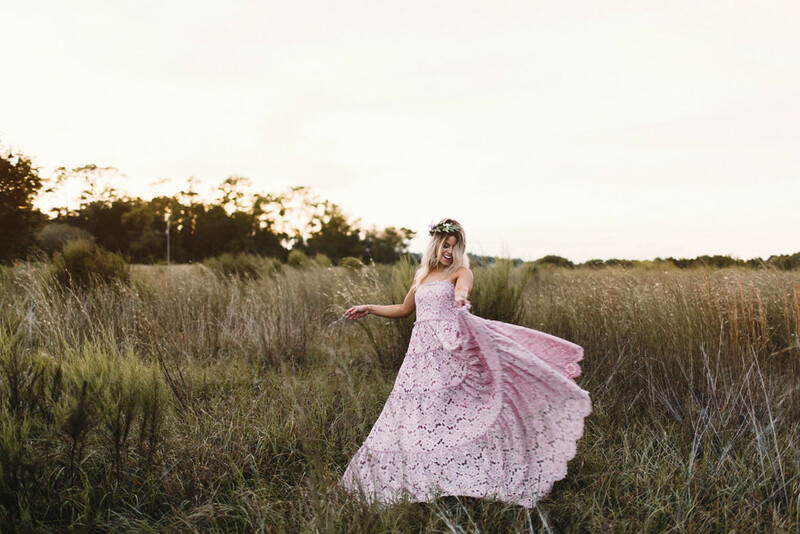 I’ve been loving wearing shades of blush as a neutral & I’m slightly obsessed with this gorgeous blush, intricately laced maxi dress made by Alexis [which is ON SALE right now!] If you’re like me & have tons of weddings, bridals showers & baby showers to attend – I think this kind of pretty, girly look makes for an appropriate wardrobe option! Shop full outfit details + some other lace maxi options at the bottom of the post!